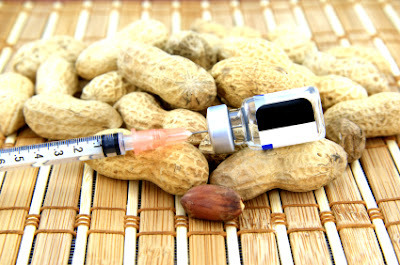 Home > Recent > Peanut Allergies Preventable with Early Exposure? Following a recent LEAP trial, the American College of Allergy, Asthma & Immunology (ACAAI) last week released updated guidelines claiming that the introduction of peanut-containing foods into the diets of young babies well before their first birthday could reduce their chances of developing severe allergies. The guidelines only apply to babies who are already at severe risk of developing allergies: which partly applies to babies whose parents or relatives have peanut allergies, or those with severe eczema or an existing food allergy. The ACAAI has released an instructional video regarding how best to introduce children to peanuts, and claimed in a statement published by Medpage Today: "it is extremely important that parents understand the choking hazard posed by whole peanuts and to not give whole peanuts to infants. Peanut-containing foods should not be the first solid food your infant tries, and an introduction should be made only when your child is healthy. Do not do the first feeding if he or she has a cold, vomiting, diarrhoea or other illness." Moreover, parents are strongly advised to seek advice from a doctor before feeding peanut-containing foods to a baby, especially if the child has a high risk of developing a peanut allergy. The findings build upon extensive prior research by other organisations. A previous trial published in the New England Journal of Medicine and reported by the NHS in March 2016 considered the reactions of 550 children, half of whom were given peanut snacks during their first year of life and half of whom were told to avoid them. It found that, of the latter group, 18.6% had developed a peanut allergy by six years old, whereas the same applied to only 4.8% of the former group. Peanut allergies are generally passed down from parents to children. Between four and six per cent of American children have a food allergy. According to FARE, they send a person to the emergency room every three minutes. Around three million Americans have peanut allergies, and the number of children to suffer from such allergies experienced a threefold increase between 1997 and 2008. Mayo Clinic lists a number of peanut allergy symptoms, including a runny nose, hives, redness and swelling on the skin, itching or tingling in the mouth or throat, diarrhoea, stomach cramps, nausea or vomiting, a tightening of the throat, shortness of breath and wheezing. In the worst cases, anaphylaxis can occur, wherein the throat swells up, blocking the airways and preventing breathing whilst sending the sufferer into shock (severe drop in blood pressure), increasing the pulse and causing dizziness, light headedness, unconsciousness and possibly death. It is generally advised to seek medical attention if you experience any symptoms of a peanut allergy. Although the trial is another step toward preventing the development of peanut allergies in children and adults, critics have argued that the funding for research into peanut allergies, which currently claim between roughly 150 and 200 lives per year in the United States, could be better spent elsewhere.